Harry S. Truman’s unexpected election victory over Thomas Dewey was forever imprinted in history, thanks in part to a famous photo. Heading into Election Day on November 2, 1948, it seemed like Thomas Dewey had the U.S. presidency in the bag. Numerous polls and pundits predicted a win for the Michigan native, New York governor and prominent gang-busting attorney. But, as a now-famous photograph would show, everyone—including the editors of the Chicago Tribune—got it wrong. The surprise victory of the plain-spoken Democratic nominee, Harry S. Truman, would become one of the biggest upsets in U.S. presidential history—and it would forever be memorialized, thanks to an embarrassing newspaper gaffe. Dewey made his name throughout the 1930s by prosecuting dozens of big-name mobsters, including Lucky Luciano and Waxey Gordo. His record helped in his election to governor of New York in 1942. In 1944, he won the Republican nomination for the White House but lost the general election to President Franklin D. Roosevelt. In 1948, the Republicans again chose Dewey as their presidential nominee, with Governor Earl Warren of California as his running mate. 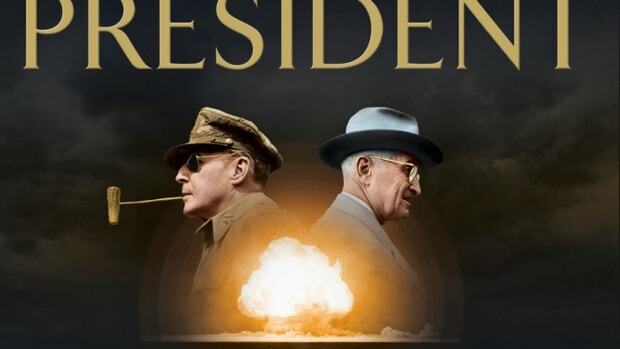 The Democratic nominee, Truman, had ascended to the presidency following Franklin Roosevelt’s sudden death on April 12, 1945, just three months after he’d been sworn in for an unprecedented fourth term. The plain-spoken Truman, a U.S. senator from Missouri before his brief vice-presidency, went on to lead the United States through the end of World War II and the transition to a peacetime economy. But in the 1948 elections, Truman faced significant political head winds. Truman faced a weak economy and a divided party. Rising inflation and labor unrest had contributed to the Democrats losing control of both chambers of Congress in 1946 for the first time in 14 years. Further diminishing Truman’s prospects were divisions within his own political party. His civil rights initiatives had alienated the conservative, Southern wing of the organization. 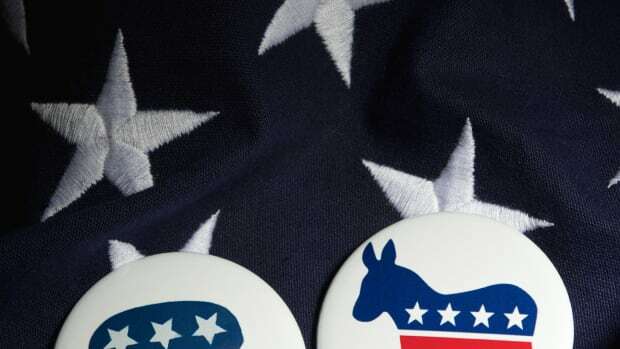 This had spurred the formation of the States’ Rights Democratic Party (or Dixiecrats) and the selection of Governor Strom Thurmond of South Carolina as their presidential nominee. Truman was even facing competition from within his own cabinet. His onetime secretary of commerce (as well as Roosevelt’s vice president from 1941-45), Henry Wallace, who had a following among liberals, decided to run against his former boss as the Progressive Party’s candidate for the Oval Office. 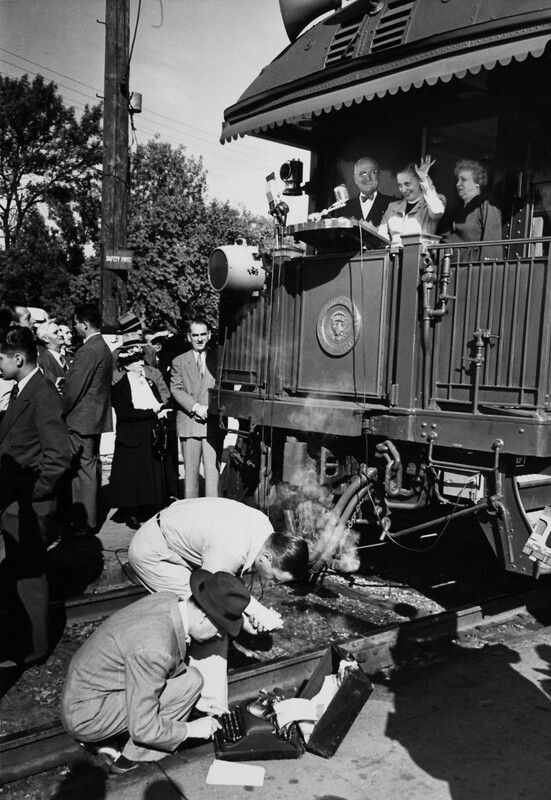 President Harry Truman, with wife Bess and daughter Margaret, waving from train during whistle-stop at Pocatello, Idaho in 1948. Meanwhile, Truman launched an aggressive, populist-style campaign. The president embarked on a “whistle-stop” tour, traveling across America by train and giving speeches in which he spoke out against the “do-nothing” Republican-controlled 80th Congress. “Give ‘em hell, Harry” became a popular slogan among his supporters. On Election Day, thanks to a coalition of voters that included organized labor, farmers, African Americans and Jews, Truman and his running mate, Senator Alben Barkley of Kentucky, pulled off their shocking victory. 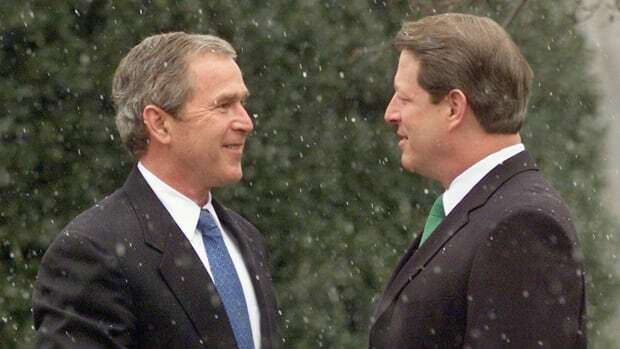 Truman&apos;s underdog ticket racked up 303 electoral votes and 49.6 percent of the popular vote to Dewey’s 189 electoral votes and 45.1 percent of the popular vote. Thurmond, the Dixiecrat, earned 39 electoral votes and 2.4 percent of the popular vote. A newspaper error is famously photographed. 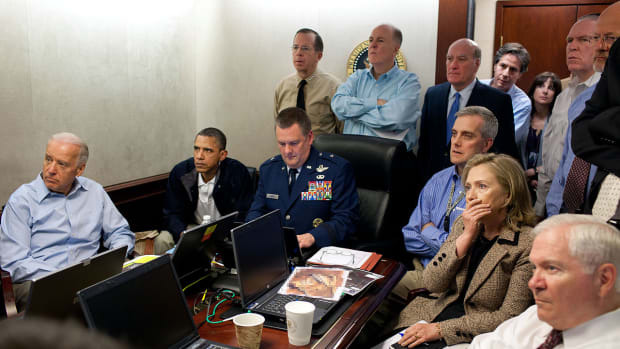 A now-famous photograph taken two days after the president’s come-from-behind triumph. The president was on his way back to Washington from Missouri when his train stopped in St. Louis. It was in the station where Truman picked up a two-day-old copy of the Tribune. 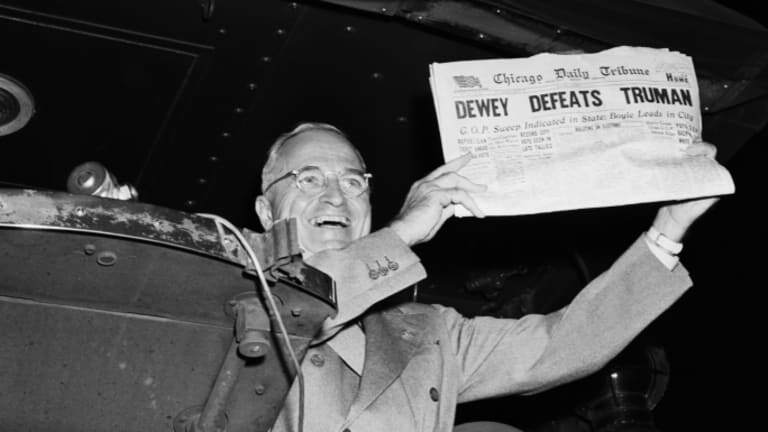 Holding the paper, which blared the erroneous banner headline, "Dewey Defeats Truman," Truman flashes a triumphant smile. On January 29, 1949, in America’s first nationally televised inauguration, Truman was sworn in to his first full term as America’s 33rd president. 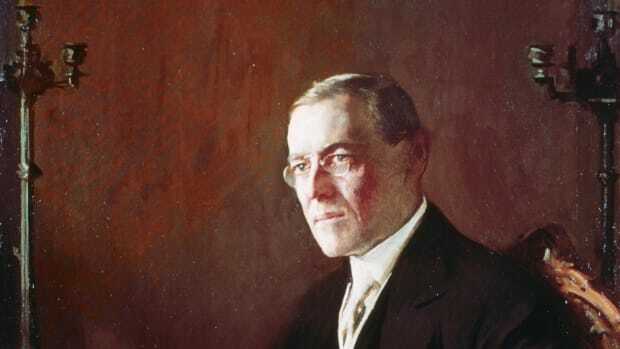 Four years later, he left the White House (he had been eligible to seek another term but announced in 1952 he would not do so) and retired to his hometown of Independence, Missouri. Meanwhile, Dewey served as governor of New York through 1954 then he returned to practicing law. He died in 1971 at age 68. Truman died the following year at age 88.